When it comes to weight loss, the usual buzzwords you might hear often include the words ‘lifestyle’ and ‘change’…as in, you need to make one to be successful at losing weight. 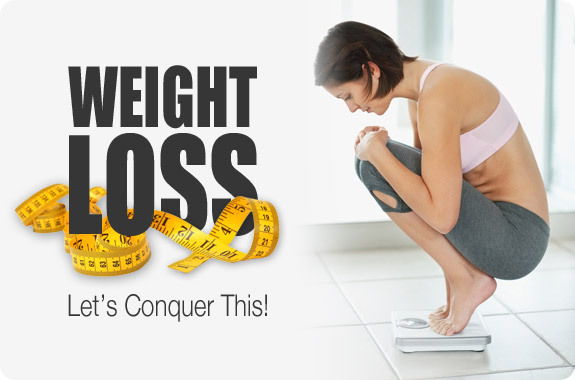 It may seem like losing weight is a simple goal–do some exercise, go on a diet and voila! But, if it were that simple, DTR’s CBT Psychotherapists/Therapists, Physical Trainers and Nutritionists would be out of a job and you’d be too busy working out to read this. While magazines make it seem effortless, losing weight takes hard work, changing different aspects of your life like, how you spend your time, how you schedule your day, and how/what you eat. If the way you live doesn’t allow for these changes, how far will you get? What’s your lifestyle like at the moment? The reason lifestyle is so important is because how you live determines your choices and these choices decide how healthy you are and whether you’re on the road to weight loss. If you spend more time doing the things in the first list than the second, it’s time to reevaluate your priorities and decide what you really want for yourself. Living healthy means spending time and energy on your body–moving it around and paying attention to what you put into it. Staying in an unhealthy lifestyle means you can avoid expending energy, time and effort…but at what cost? The rewards for making these changes are endless, but it’s actually beginning that’s so difficult. What does it take to change your lifestyle and how do you know if you’re ready? When we think of weight loss, we often think about what we eat. The questions we ask ourselves tend to revolve around how much fat, protein and carbs to eat, or whether beets help take off the pounds. Diets touted in the media as optimal for weight loss abound, yet we remain a nation with an obesity problem. What we tend to ignore, when we think of weight loss, is how we are approaching and managing the process of change. As important as it is to focus on what you eat to lose weight and keep it off, it is equally crucial to consider physical activity and maintaining lifestyle changes over time. How to make behavioural changes, what strategies we use to adhere to new ways of eating and increasing physical activity cannot be ignored. The problem is that making changes to your lifestyle is hard. If it weren’t, we wouldn’t have an obesity epidemic in the UK. Cognitive Behavioural Therapy CBT, focuses on changing how you think about yourself, how you act, and circumstances that surround how you act, is an effective treatment for a wide range of problems, including weight loss. The key to it is its focus on making changes and sticking to them. So, what CBT strategies help people to lose weight and change lifestyle behaviour? When it comes to weight loss, then, a goal to eat fruit for dessert, rather than cake, is specific and can be clearly tracked. Self-monitoring requires that rather than beating yourself up for not attaining a goal, you attend to your own individual experiences. When you self-monitor, you begin to notice barriers, pay attention to physical cues and identify challenges to changing your behaviour. Too often we rely on negative self-judgment to stay motivated and, in so doing, fail to recognise and plan for real barriers. You can think of yourself as a scientist when you self-monitor. You may want to keep a log of your food intake or exercise routines, for example. Doing so will help you to problem-solve when life has gotten busy or you get off track. With greater awareness of your own experience, you are better able to find ways to maintain new behaviours when initial motivation is waning. It can be helpful to get feedback from outside sources. Having a DTR CBT Psychotherapist/Therapist, Personal Trainer and Nutritionist regularly check in with you can provide an external measuring stick. Feedback about your diet, lifestyle or exercise routine can provide motivation or help you adjust your behaviour. Outside feedback can also help you keep your expectations ambitious but realistic. 4. Boosting the belief that you can do it. When you go into any situation with the attitude that you will surely fail, you greatly reduce your odds of succeeding. It is essential to focus not just on behaviour, but also on your perception of your ability to make the changes you want. The best way to improve your belief in your ability to succeed is to have some success. Setting concrete and achievable goals, such as eating fruit at breakfast or replacing an after-dinner TV show with a walk, can build your confidence to set more ambitious goals. If you’re looking to improve your sense that you can do it, it also can help to look for people in similar circumstances who have made the difficult changes you are trying to make and to surround yourself with people who will encourage your efforts. The use of incentives to support a change in behaviour has been extensively studied and the concept is now being applied to regaining and maintaining physical health. Adopting a healthier lifestyle isn’t simply a matter of changing the foods in your cupboards. Lifestyle changes take sustained efforts over time and whether we achieve our goals depends on how we make them, our mindset and what we put in place to maintain motivation.